For many years our climate justice campaign has forged the agenda on the human rights dimensions of climate change, most notably in the realm of climate refugees. In recent times, we have been greatly increasing the work we do on mitigation – that is, reducing our greenhouse gas emissions. A suite of powerful new, emerging technologies including nanotechnology, synthetic biology and geo-engineering pose grave new potential threats to human health, the environment, and society as a whole. The FoE Emerging Tech Project aims to catalyse debate and see a change in the way we think about, assess and introduce new technologies. Friends of the Earth has been campaigning against the nuclear industry - and promoting safer solutions - for 40 years. Nature: Not Negotiable is a campaign focussed on preventing the gutting of federal environment laws and to strengthen the federal government's role in protecting the natural environment. Our Barmah-Millewa collective supports Traditional Owners in the management of the new red gum forest parks along the Murray River. FoE Melbourne also monitors companies involved in Victorian plantation forests, especially in the Strzelecki Ranges. Many local FoE groups and campaigns work in partnership with Indigenous communities. 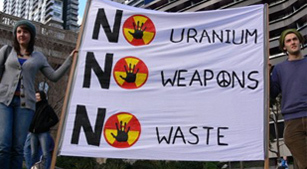 These include the Australian Nuclear Free Alliance, Radioactive Exposure Tours, Barmah-Millewa Forests, Land and Water Rights Campaigns, West Mallee Protection, Indigenous Solidarity Gatherings and the Barrick Gold and Lake Cowal campaign. The Australian Environmental Justice (AEJ) research team at RMIT University is creating a public online database of cases of environmental injustice — for affected communities, campaigners and educators. The AEJ project has Friends of the Earth (Australia) (FoE) as a partner and is associated with the EU-funded international Environmental Justice Organisations, Liabilities and Trade (EJOLT) project (http://www.ejolt.org/project)..
We all use chemicals in our day-to-day lives. But the uncomfortable truth is that more and more research is suggesting that many chemicals are threatening our health with a new kind of pollution that contaminates the bodies of us and our families, our environment, animals, plants, the planet. Our activities on food and farming address issues of both social justice and environmental sustainability. Along with better ecological outcomes, we are working towards food sovereignty for local communities. Transnational Corporations (or TNCs) continue to grow in economic and political power and, despite some steps towards sustainability, are responsible for a great deal of the environmental deterioration currently occurring around the world. The Barmah-Millewa Collective is campaigning for Water Rights in the Murray-Darling Basin. For over a century, irrigation has been over-extracting water from the rivers of the Basin, and the environment has been forced to survive on the left-overs.